Ann Gibson for RootsRated in partnership with OrthoCarolina. If paddling in North Carolina conjures up images of running whitewater in the western reaches of the state and sea kayaking the coast, you may be missing out on one of N.C.’s most diverse paddling destinations. The lush, green hills of Winston-Salem offer up four-season paddling, with an astonishing array of whitewater and flatwater options on rivers and lakes just a short drive from downtown. Summer is an ideal time to dip into this paddling paradise. From navigating class III rapids to peaceful sunset outings, our guide to the best spots for paddling around Winston-Salem and central N.C. is sure to inspire you to grab a paddle and get on the water. 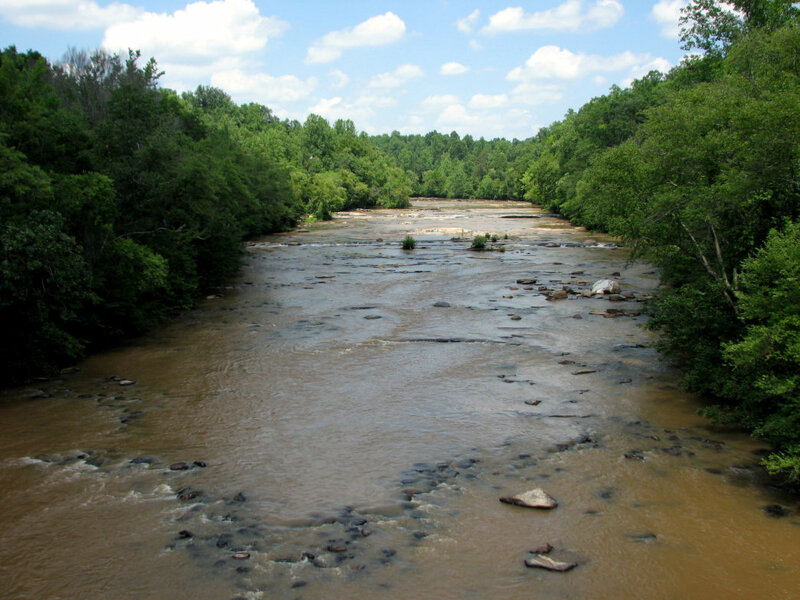 The broad, steady Yadkin River flows past mixed hardwood forest and farmland along the 125-mile Yadkin River Trail. The trail is an ideal route for novice to intermediate paddlers, with 17 access points for half-day to multiple-day trips. Water levels are reliable in any season, and class I-II ripples provide just enough excitement to keep it interesting. The river’s largely undeveloped shoreline has a wilderness feel, particularly passing through Pilot Mountain State Park and Tanglewood Park near Winston-Salem, but you’re never far from the cities and towns of the Triad. Need boats, shuttles, or a little help with trip planning? Yadkin River Adventures makes it easy to get on the water. Self-guided two- to six-hour trips start and end at their general store in Rockwood and include gear and shuttle. For more advanced paddlers, consider self-guided two-day trips covering up to 19 miles on the river. A string of three reservoirs east of downtown Winston-Salem have become a paddling destination for not only kayaking, stand-up paddleboarding, and canoeing, but also row boating and sailing as well. Lake Higgins and Lake Brandt, the smaller of the three lakes, are ideal for kayaking, SUP, and canoeing. Launch your own boat or rent solo and tandem kayaks, SUP boards, canoes, and rowboats on either lake. Family-friendly intro to kayaking classes and night paddles are offered throughout the summer on both lakes. The largest of the three, Lake Townsend, is home of the Lake Townsend Yacht Club, which makes for more motorboat and sailboat traffic, especially in warmer months. Still, the lake’s many coves and tributaries offer solitude and distance from summer boaters. Launch your own boat or rent a kayak, sailboat, or rowboat at the marina. Along the western edge of the ancient Uwharrie Mountains, along a dammed portion of the Yadkin River due south of Winston-Salem, miles of flatwater paddling await exploration. Get out on High Rock Lake, Badin Lake, and Lake Tillery to explore more than 20,000 acres of backcountry paddling against the backdrop of some of the oldest and continuously inhabited mountains in the east. Numerous boat launches and lakefront development make the northernmost lake, High Rock, the most heavily used. Tributaries off the main channel offer more solitude, with miles of shoreline to explore. Long, narrow Lake Tillery is best accessed from the Morrow Mountain State Park boat ramp, where you can launch your own boat or rent a rowboat or canoe during the summer. Perhaps the best paddling to explore is on the more remote Badin Lake. 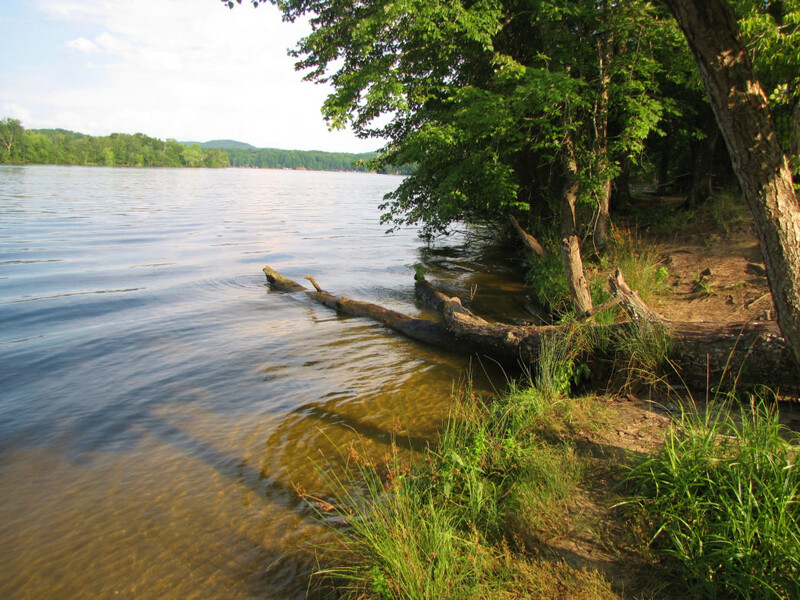 Bordered by the Uwharrie National Forest to the east, the largely undeveloped lake lies over a portion of the Yadkin that was known as the Narrows. Prior to construction of the dam, rocks squeezed the river through a channel only 30 to 40 feet wide, dropping 90 feet over a mile. For this reason, Badin is up to 190 feet deep in spots, lending to its rich blue hue. Launch at the Cove Boat Ramp and extend your day trip into a multi-day paddle by camping at nearby Arrowhead Campground. There’s also plenty of dispersed backcountry camping in designated areas throughout the Uwharrie National Forest. Uwharrie Hoof & Paddle is your outfitter for kayak and canoe rentals or shuttle service on Badin Lake. 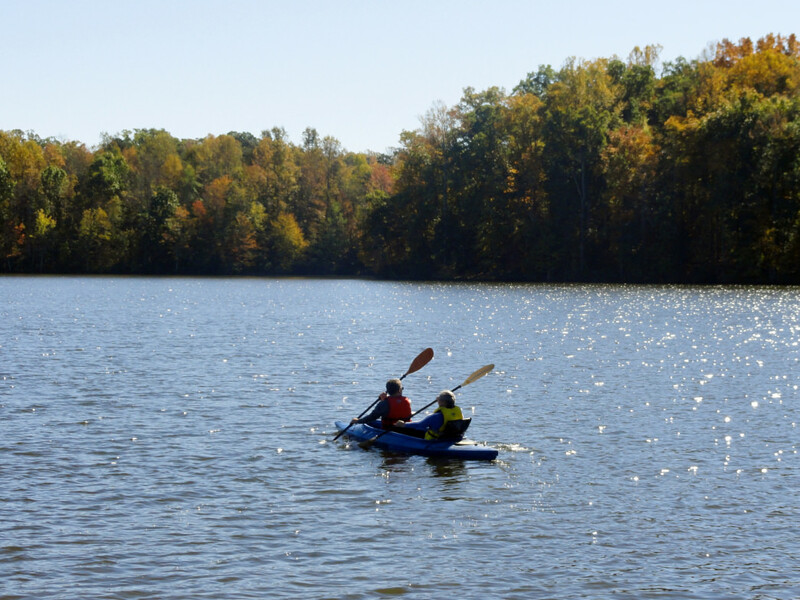 Wrap up your day in Winston-Salem with a sunset paddle on 365-acre Salem Lake. The lake and surrounding seven-mile trail are minutes from downtown but feel a world away. Launch your own kayak, SUP, or canoe, or rent one once you get there and paddle along the wooded shoreline, where wood ducks, loons, woodpeckers, heron, and geese are often your only companions. And after the summer, you can continue to take advantage of the warm water temperatures at 3,863-acre Belews Lake throughout the fall, winter, and spring. Because the lake was created to cool Duke Power’s Belews Creek Steam Station, water temperatures typically remain in the 60s throughout the cooler months, making Belews an ideal paddle when motorboats have been stored for the winter. Other than the occasional fisherman, the lake will be yours to enjoy. Put in at the Piney Bluff Access off Belews Creek Road to kayak 14-plus miles to the lake’s northern tip and back for a full day on the lake. One of the biggest surprises on the central N.C. paddling scene? The playboating opportunities on the New, Mayo, and Dan rivers, just a short drive north of Winston-Salem. While sections of all three rivers are ideal for a beginner to intermediate outing, a paddler’s 15-minute run can turn into hours of playtime for the whitewater enthusiast. Put in at New River Trail State Park to surf the waves at Foster Falls, where the river drops approximately 30 feet over 8 ledges. On the shallow and fast-moving Dan River, playboaters head to the river on dam release days for multiple runs on the class II-III rapids through Kibler Valley. On the Mayo River, a series of ledges called the Stairsteps drops through class II-III rapids to a favorite spot called the Boiling Hole. For gear, advice, and directions, drop by Winston-Salem’s Great Outdoor Provision Company. Knowledgeable staff are experts on paddling around Winston-Salem and central North Carolina and can provide intel on river levels and dam releases. During the winter, the outfitter also offers demo days and indoor roll clinics at the local YMCA.